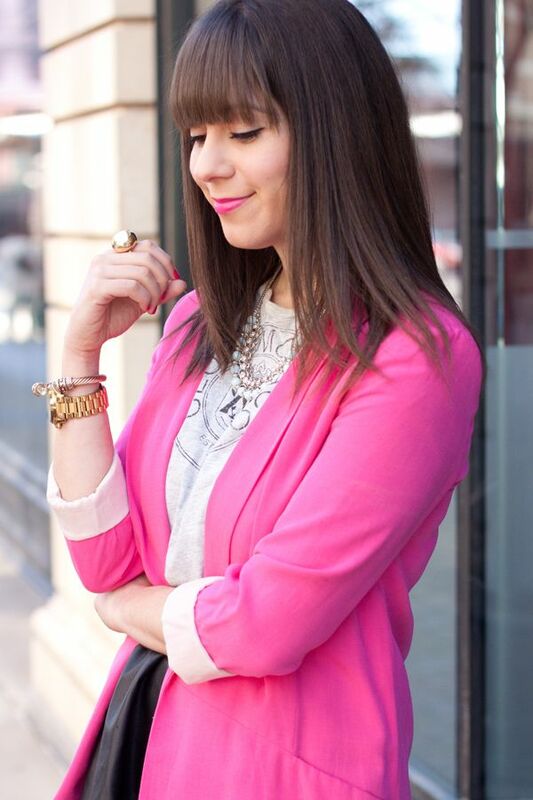 LOVE the pink blazer with this look - so so cute! Pink and leather? yes, please! 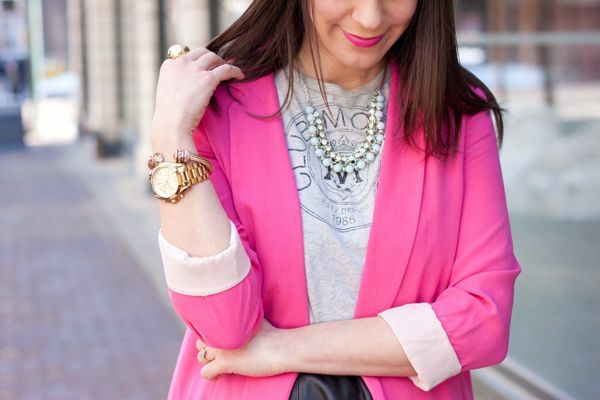 I adore the combination and the necklace layering is amazing! Still dying over that CM tee - perfect! I love that blazer and those cute polka dot tights! Can't get over this outfit!!!! This outfit is perfection! Love the vintage t and blazer! LOVE THIS! PS saw your BT Edmonton spot -- AMAZING!